Gillian Smith is a professor of Art+Design and Computer Science at Northeastern University in Boston. Her field of study is procedural content generation, in which aspects of a game — the world, its inhabitants, individual levels — are created on-the-fly. The resulting output, rather than being completely random, follows a predefined set of rules that results in a world that conforms to its designer’s vision, even if the exact manifestation is unexpected. In her essay “A proceduralist view on diversity in games“, Smith argues that these rules can result in a game world that is more or less representative of its audience, as determined by the definitions and boundaries fed into the system. 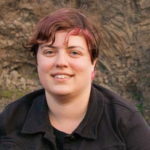 In this podcast, she discusses how this is so, some examples of procedural generation that does diversity right, and what the future for procedural generation is. Mike Cook’s ProcJam — join the jam!